What is pot magnet? The pot magnet is one kind magnetic assembly that consist of a metal "pot" and a permanent magnets. There is maybe a hole, thread or removable hook in center of this magnet assembly. the metal pot is important part of the magnetic circuit. the magnetic force of Science designed pot magnets is much stronger than alone magnet.it is the most efficient design to provide an easy, non-destructive way to suspend objects or attach them to metal. Some customer also call it magnetic holders, cup magnets,magnetic hook,hook magnet or magnetic pot. They are widely used for fixing,holding,mounting, lifting and transferring objects useful in the field of construction, engineering, automotive, etc or in the place of office,family,warehouse etc. Base on different permanent magnets , there are Neodymium Pot Magnets,Ferrite Pot Magnets,SmCo Pot Magnets. What is Samarium Cobalt Magnet? What is the Neodymium Iron Boron Magnets? Neodymium Iron Boron magnets, popularly named Neodymium Magnets, NdFeB magnets or NIB Magnets are one kind of rare earth magnets with excellent Energy Product and high Coercive Force. They are third generation rare earth permanent magnets, which can give the strongest magnetic energy base on Nd2Fe14B intermetalli compound. 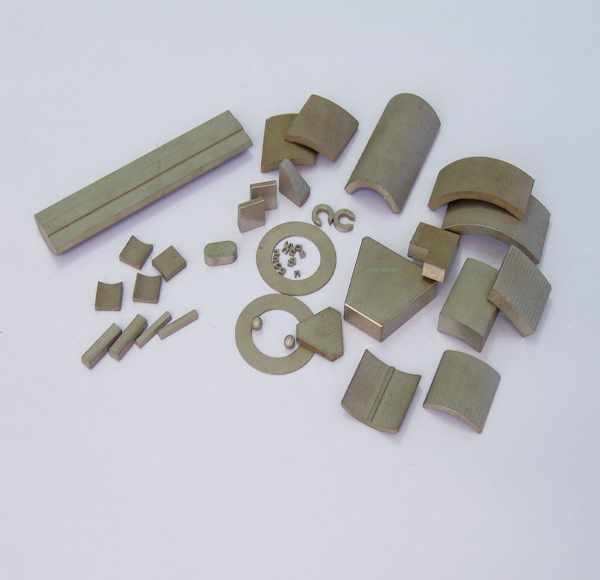 There are sintered NdFeB magnets and bonded NdFeB Magnets base according to different process technology. Sintered NdFeB magnets can give the biggest magnetic force than all other permanent magnets in the world because of high content Nd2Fe14B. Instead of other permanent magnets, Smaller Volume, lighter weight, but same or even higher performance can be obtained in all kind of Magnetic system by using super powerful neodymium magnets. Because they consist of pure iron and Neodymium metal, NdFeB magnets are easy rusted. But Zn, Ni, NiCuNi, Chemical Ni, Ni+Sn, Epoxy, Au, Ag and Teflon coating available to prevent any oxidation. As the strip casting and HD process are used in our workshop, we developed Neodymium magnets with superior corrosion resistant. The best test result of our magnets’ weight loss is less than 1.5mg/cm2 in HAST test. The sintered NdFeB magnet dimension and grade that we can supply is following: Disc shape from D1x0.8 to D250x50mm,Block shape from 2x2x2 to 150x150x50mm, Grade from N33 to N54, M33M to N52M, N33H to N48H, N33SH to N48SH, N30UH to N45UH,N30EH to N38EH,N28AH to N38AH with annual capacity more than 2000 tons ,TS16949 certificate and ROHS compliance. Bonded Neodymium magnets (NdFeB magnets) mainly consist of NdFeB Magnetic powder and Polymer binders. After mixing, complicated shape magnets can be done directly by pressing and solidifying that sintered neodymium magnets can not do. Base on different process, there are common molding bonded NdFeB magnet, compression bonded NdFeB Magnet and Injection bonded NdFeB Magnet. Because bonded magnets are made by one-step forming technology, it is necessary to pay tool charge for almost different dimension items. Custom made shape, dimension and property available. Applications: As an important basic functional materials for saving energy and developing green industry, Neodymium magnets are widely used in motor, generator, elevator, sensor, separator, MRI, VCM, DVD, Mobile, phone, printer, instruments, appliances ,etc. Production Process of Sintered Neodymium Magnets: Raw Materials > Melting > Casting > Crashing > Milling > Pressing > Sintering > Demag Curve Testing > Machining > Coating > Magnetizing > Checking > Packing. MAG SPRING is one branch of SOUWEST MAGNETECH (Stock No. 836961) that focuses on magnetic systems in China.We are an environmental-friendly designer,manufacturer for various industrial magnets& magnetic products and provide global customers with pioneering magnetic solutions .